Leicester begin their defence of their Premier League title with a lunchtime visit to Hull City at the KC Stadium on Saturday. This article contains our Hull City v Leicester betting preview with free predictions, betting tips, probable lineups, team news, enhanced odds, bookie offerse and exclusive no deposit free bets! Hull City had a pretty disastrous pre-season and it is hard to see things getting any better on the opening day of the 2016/17 campaign. They need a new manager. Mike Phelan was Steve Bruce's assistant manager last season and has taken charge since the later resigned in July. The Tigers have just 13 fit senior pros available for selection at the last count hardly providing supporters with much hope. The likes of Alan McGregor, Alex Bruce, Michael Dawson and Moses Odubajo are injured, while Shaun Maloney and Harry Maguire are doubts. Jake Livermore could start at centre-back alongside Curtis Davies, as was the case in the 2-1 pre-season defeat to Torino. Adama Diomande and Abel Hernandez will lead the line, while Snodgrass, Meyler, Huddleston and Clucas will start in midfield. 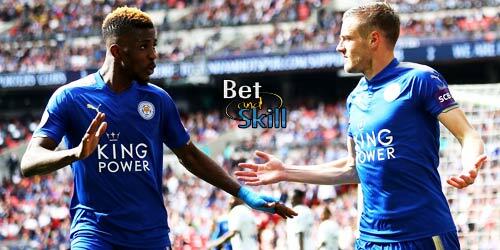 Leicester recordeded three defeats on the spin dring the preseason, with 10 goals shipped in the process that hardly suggests they will head into the new campaign with momentum on their side. They may have lost in the Community Shield at the weekend, but they showed all the qualities that led them to title glory last season. Jamie Vardy rejected an approach from Arsenal and Riyad Mahrez – despite the speculation – remains a Leicester player. Claudio Ranieri has a fully-fit squad to choose from, although they will be without Robert Huth as he completes a three-game ban picked up at the back end of last season. N'Golo Kante's departure is the major loss for Leicester so far, but the Foxes have been very busy in the transfer market, securing the signatures Ahmed Musa, goalkeeper Ron-Robert Zieler, Nampalys Mendy and Spanish defender Luis Hernandez. Mendy and Musa could both therefore be handed their league debuts, but Ranieri is likely to go with Shinji Okazaki in attack alongside prolific forward Vard. Leicester and Hull have only co-habited the Premier League for a single season and the match-ups in the 2014/15 season saw more red cards than goals. Riyad Mahrez scored in Leicester’s 1-0 away win at Hull, which saw a red card for each team, while the sides played out a 0-0 draw at the King Power Stadium with Hull again finishing with 10 men. Hull City (4-4-1-1): Jakupovic – Robertson, Davies, Livermore, Elmohamady – Snodgrass, Meyler, Huddlestone, Clucas – Hernandez, Diomande. Leicester City (4-4-2): Schmeichel – Fuchs, Morgan, Hernandez, Simpson – Albrighton, Drinkwater, King, Mahrez – Vardy, Okazaki. "Hull City v Leicester predictions, betting tips, lineups and free bets (Premier League - 13.8.2016)"